Chiro (done by hand) is a healthcare profession that focuses on disorders of the musculoskeletal system and the nervous system and the effects of these disorders on overall health. Chiropractors most often treat neuromusculoskeletal disorders. The nervous system of the body consists of the brain and spinal cord which is known as the central nervous system (CNS) and the peripheral nervous system (PNS) which branches off from the spinal cord to supply the peripheries. The nervous system is responsible for relaying messages between the brain and the various organs within the body. If these pathways become blocked, then the messages between the brain and spinal cord will not transmit correctly. These misalignments form the basis for spinal manipulation. An adjustment or chiropractic manipulation is a high velocity low amplitude impulse thrust delivered to a restricted spinal segment. In other words, it is a precise movement that is applied by hand to restore movement to a misaligned vertebra or other joint of the body. An adjustment will restore the proper movement of the joint. By restoring or increasing the range of motion of the joint, the function and flexibility is restored and pain is reduced. On your first visit, your chiropractor will first begin by taking a thorough case history. The questions will cover your currentdisorder, information about your current and past medical history as well as information about diet and lifestyle. 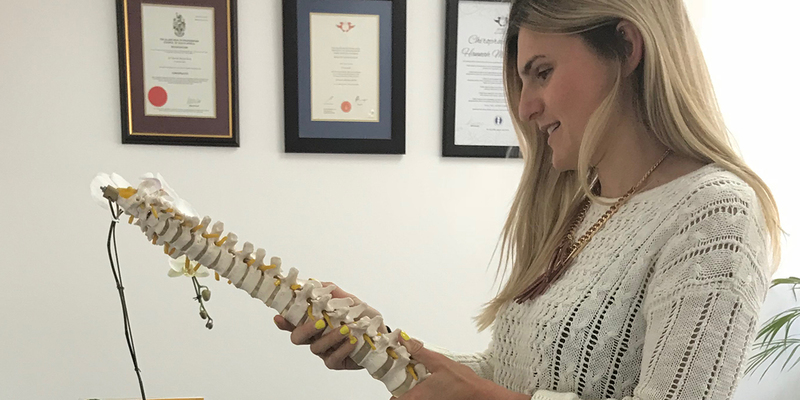 Once the history has been completed and your case is one that can be treated by a chiropractor, your chiropractor will proceed to perform the necessary examinations. The examinations include range of motion, neurological testing, orthopaedic testing to name just a few, but will vary according to your presenting disorder. Your chiropractor may refer you for diagnostic tests (x-rays, ultrasounds, blood tests etc). Once your chiropractor has assessed and diagnosed you, they will discuss a treatment for your specific condition.